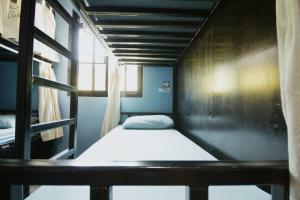 Located in a convenient area of Bangkok that is walkable to Khaosan Road, Counting Sheep Hostel offers dormitory rooms with free WiFi throughout the property. Guests can enjoy the on-site restaurant. 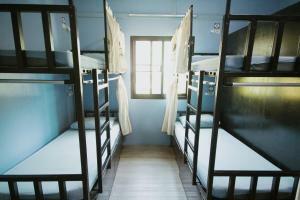 Each bunk bed in the dormitory room features a private curtain and a personal reading light. 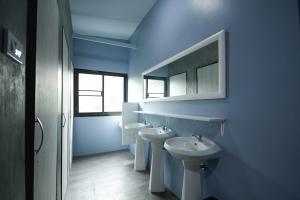 The room also comes with a shared bathroom. Guests can socialize and meet new people at the shared lounge. Temple of the Golden Mount is 1.1 km from Counting Sheep Hostel, while Bangkok City Pillar is 1.4 km away. Don Mueang International Airport is 21 km from the property. A security deposit of THB 200 per person is required upon arrival for incidentals. This deposit is fully refundable upon check-out and subject to a damage inspection of the accommodation. Guests are required to show a photo identification and credit card upon check-in. Please note that all Special Requests are subject to availability and additional charges may apply. Please inform Counting Sheep Hostel in advance of your expected arrival time. You can use the Special Requests box when booking, or contact the property directly with the contact details provided in your confirmation. Rate: THB 170.00 ... THB 189.00; select dates below to get current rates. Rate: THB 172.81 ... THB 180.88; select dates below to get current rates.